Using test anxiety relaxation techniques can help you reduce your anxiety, gain a feeling of control over the situation, and focus on the test material. 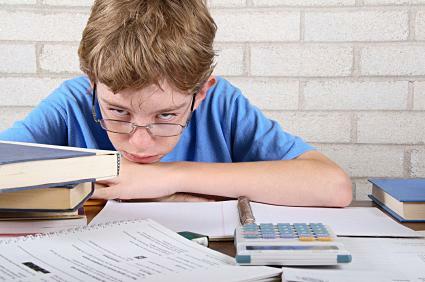 According to Worcester Polytechnic Institute, using both short-term and long-term relaxation response techniques can help reduce and control anxiety associated with test taking. These techniques are simple to do. You can easily accomplish them before entering the testing area or while sitting at your desk before and during the exam. Place both feet on the floor, making sure they are flat. Grasp the bottom sides of your chair with your hands. At the same time, use your hands to pull up on the chair and push your feet firmly down onto the floor. Hold this position while counting slowly to five (approximately five seconds). Release the tension in your hands and feet and let your body relax while counting slowly to five. Repeat the process several times before the test begins. Inhale, taking a deep breath that fills your diaphragm as you push it down and outward. By moving your diaphragm your lungs can fully inflate. Hold your breath as you slowly count to three. Slowly release the air as you exhale. Focus on the feeling of your diaphragm moving back inward. The University of California at Berkeley recommends visualization as a strategy to reduce overall stress levels. When it comes to reducing the stress of test anxiety, a visualization method known as palming is a popular choice. This visualization method is easy to perform while sitting at your desk before taking a test. Use the palms of your hands to gently cover your eyes, being careful not to touch your eyes with your hands. To do this, place your fingers on your forehead and your lower palms on your cheekbones. Imagine a relaxing scene or a quiet place you love to go. The place you choose can be real or imaginary. Imagine yourself at the relaxing, quiet place. Begin practicing the palming method of visualization several days before the test date. The more you practice this technique, or any relaxation method, the easier it becomes. You can use long-term relaxation techniques to help reduce the likelihood of experiencing test anxiety, as well as to ward it off during testing situations. Try some of the following techniques. Luther College recommends positive self-talk as a relaxation response for test anxiety. Engaging in positive self-talk before and during tests decreases test anxiety and can build self-confidence, whereas negative self talk erodes your confidence and increases your anxiety level. This strategy simply involves talking yourself through the anxiety by focusing on positive factors without allowing thoughts about negative experiences or expectations enter your mind. Remind yourself of the work you put into preparing for the test. Think about times you were able to answer questions in class. Tell yourself that you know the information. Remind yourself that you are ready to succeed. Put the test situation into perspective, reminding yourself that it is only one exam. Before exam day, you can engage in self-talk out loud or silently. Naturally, during the test, you should think positive thoughts rather than actually talking out loud. 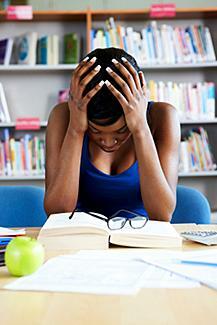 The University of New Mexico recommends cue controlled relaxation as a relaxation strategy for test anxiety. This technique involves learning to relax the muscles of your body using a cue word. Choose a cue word, such as "relax" or "success". As you are breathing, repeat the cue word each time you exhale. This relaxation strategy teaches your body to relax through association with the word. It takes time and practice to master. The blood flow to your brain increases. Your blood pressure becomes lower. The levels of nitric oxide in your body increase. If you are one of the thousands of people that suffer from test anxiety, relaxation techniques are important tools in learning how to overcome your anxious feelings. Although learning the relaxation techniques that can change your test anxiety response to a relaxation response is not difficult, you do need to practice them on a regular basis until you are comfortable with them. Remember that not every relaxation method is the perfect choice for every individual. Try several different techniques before you decide which ones are best for you.